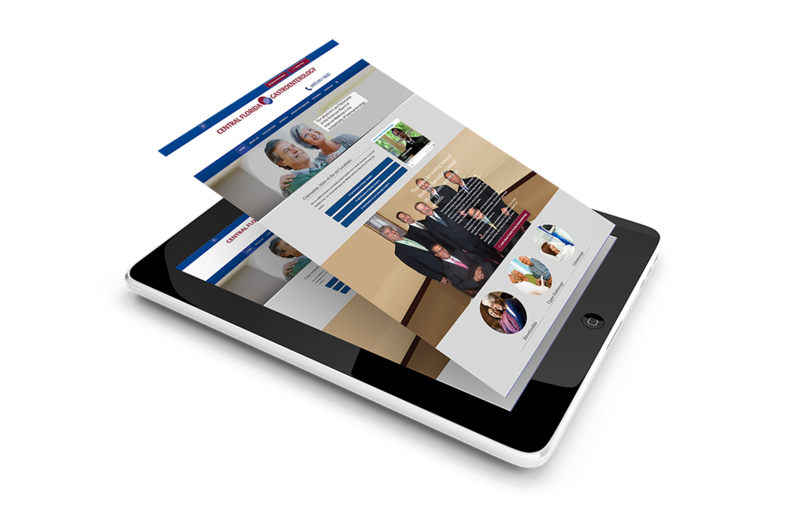 A Responsive & Clean Design that is Perfect for a Physician Group. 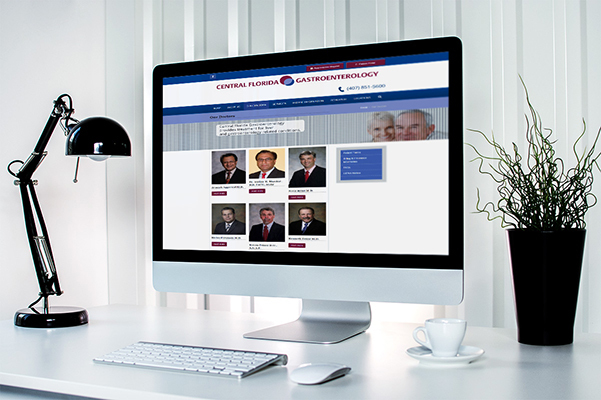 The goal of our work with Central Florida Gastroenterology was two-fold – develop an attractive, easy-to-navigate website that also houses alot of information about Central Florida Gastroenterology’s (CFG’s) services and doctors. Each physician in the office is highly qualified, and the site needed to project their expertise, as well as their individual personality. 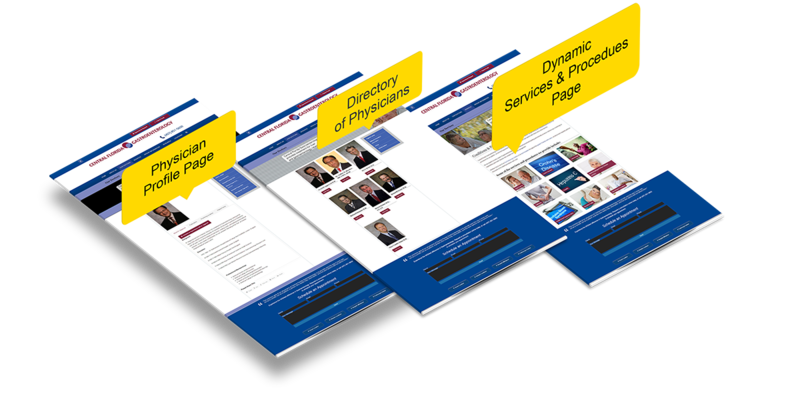 To help achieve these objectives, Central Florida Gastroenterology reached out to PhysDESIGN to develop and build a customized site that current and prospective patients could access with ease from virtually anywhere. The site’s front-end did not have to be complex in order to be effective. There is a lot to be said for the power of simplicity and what it says about this particular practice. The easy and effortless layout for Central Florida Gastroenterology proves to be efficient with regard to the user navigation experience. 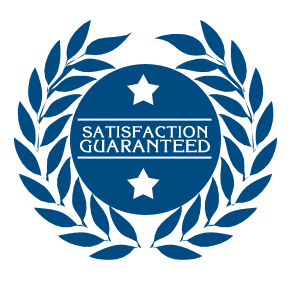 Their clean website also quiets all of the noise and allows only the most important features to take center stage. Our designers accomplished this goal using simple graphics and open ‘white space’. 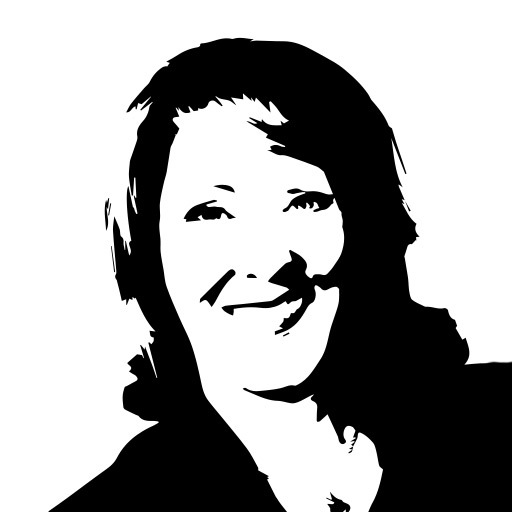 This not only lends instant credibility to the site, but it is also seen as a highly effective way of highlighting the most important parts of the practice. Don’t let the clean layout fool you though, the site is built on a powerful and current software platform that helps the site load quickly. Automatic mobile device detection. 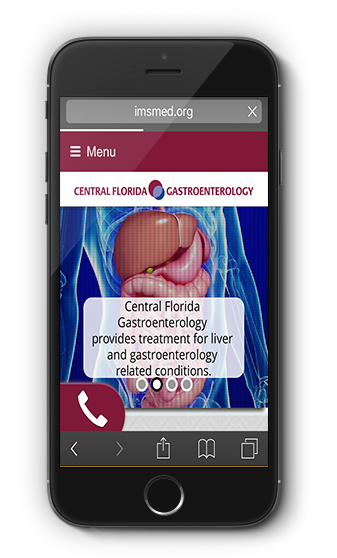 Central Florida Gastroenterology’s website is able to detect if a visitor is on the mobile site, and displays the office’s mobile website instead of the regular website automatically. This way users don’t need to find a special mobile web domain name – the site figures it out for them. Click-to-call Phone Number. Calling their office from a phone is easy. Visitors to their website are only a click away from connecting for directions, questions or an appointment. Attractive Layout. Intuitive Navigation. Clear Calls to Action. 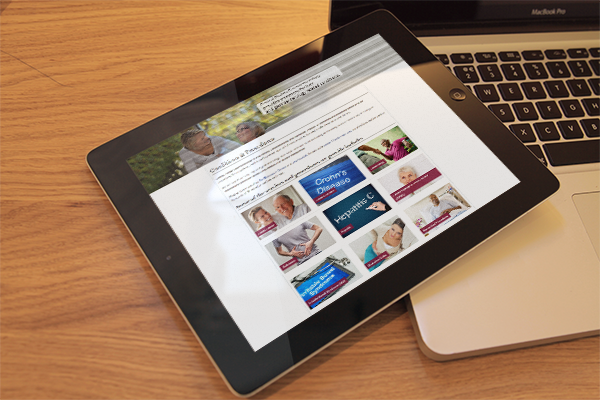 The mobile-device-friendly website features design elements that are patient-focused. The pictures on this website speak a thousand words. Through these pictures, every patient can find someone to identify with, whether it is a young adult, a new mother, or an older man or woman who has already enjoyed many years of life. This creates trust and familiarity between the viewer and the practice, and it also helps the CFG team appear relatable and reliable. Dynamic Content. Easy to Manage. 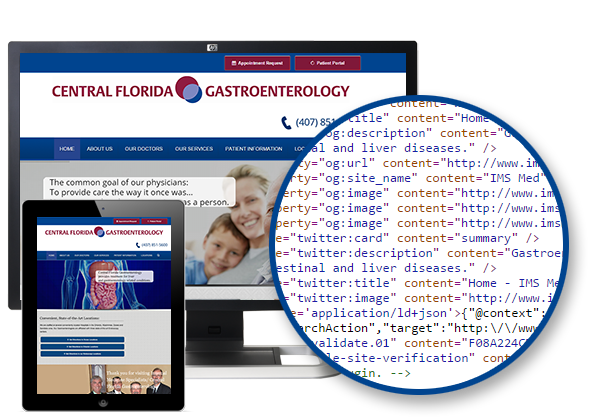 As Central Florida Gastroenterology’s content changes, they are able to adjust their site navigation accordingly. The office can edit their website easily from any browser, anywhere — while maintaining the consistent and professional style we developed. Central Florida Gastroenterology is able to set up individual and secure editor accounts to add and edit pages; upload images, pdf files or other media; add links and post blog entries from one intuitive dashboard. We programmed the site, set up the management system and provided training. While we are always there to help, they have full control and will never have to wait for changes. 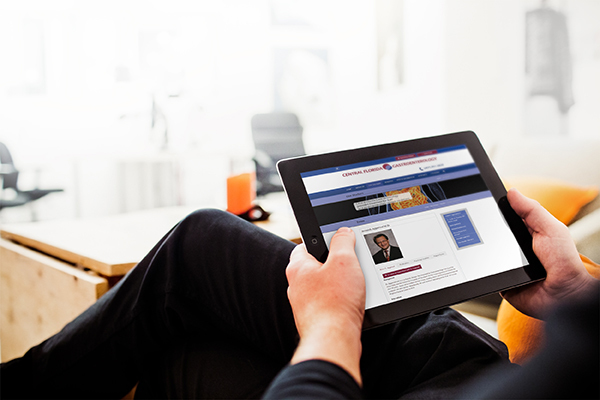 The website features the key selections of the practice’s specialties. It was important to CFG that we created an intuitive and natural way for the visitors to learn about what services and treatments CFG can perform for the patient. The office is able to easily add, delete and edit physician and staff biography pages. The system allows them to upload new headshots, add specific contact information and categorize according to their department or job title. Our team’s experience and study of the latest search visibility algorithms and strategies was brought into play. We optimized the website’s sitemap and registered it with Google and Bing to make sure each new physician page was quickly indexed for search. Patients need to find Central Florida Gastroenterology’s office in order to receive their medical services, and showing up in search results is a necessary first step. Making sure this happens required in-depth knowledge of the ever-changing technical tactics of SEO (Search Engine Optimization). We provided focused and in-depth research on related keywords and optimized the site specifically for local search. 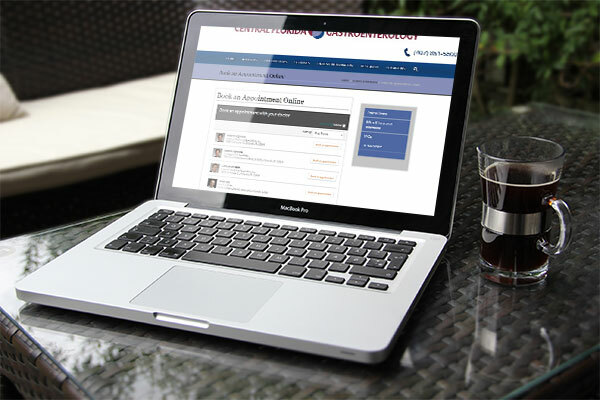 Current and new patients are able to access common patient forms and HIPAA notices through CFG’s website. This handy file management feature allows patients to access, download, print and complete patient forms prior to their visit, saving both the patient and office time. The content management system was customized to create an an easy way to keep patient forms, HIPAA notices and other files updated, and our file library manager lets the office quickly upload and keep track of their documents in one secure location. One of the challenges we faced was in organizing CFGs tremendous amount of great content in an easy and intuitive way. Nowhere was this more important than with regards to their locations. The office has multiple locations and different doctors staff different locations. 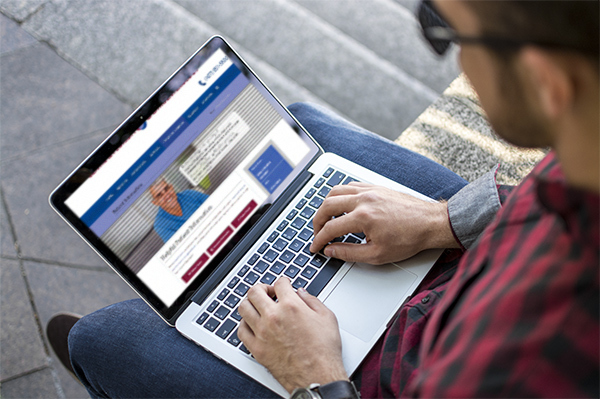 Current and new patients are able to access CFG’s patient portal and secure appointment maker right through the office’s website for an integrated experience. We seemlessly integrated the website with their EHR/EMR, practice management, scheduling, and billing systems. Meaningful use regulations require your patients have online access to view their records so your practice can qualify for financial reimbursement. Providing access to their patient portal is easy, and the patients appreciate the seamless experience as they access their portal directly from the website. It was important to the doctors at CFG that current and prospective patients find resources quickly and easily. Towards that end, we created clean patient form, billing and insurance information, and FAQ pages. 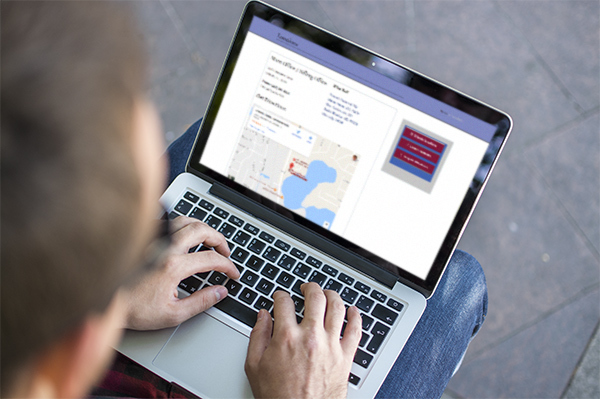 In addition, we created specific navigation links for their patient portal and online appointment scheduler, so that patients are always just a click away from their destination. Search Engine Visibility – Real Results. Not only did we achieve “above the fold” ranking for key search terms, such as “orlando fl gastroenterology” and “orlando fl internal medicine” but we also obtained the much desired placement in the top 3 local search results. 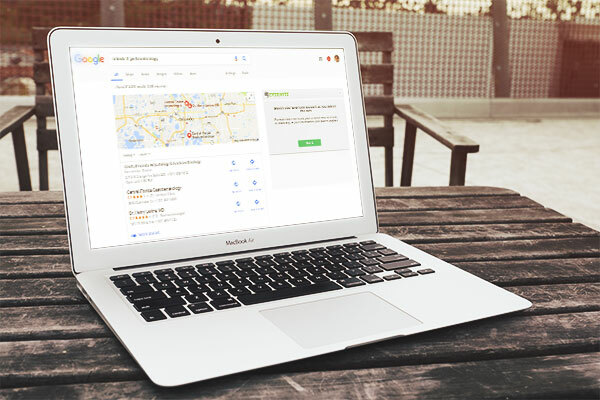 Local search results are the lifeblood of most doctors’ offices, and that is the area you often see where their is a map and links to phone and website. CFG is not locked into proprietary software that may become obsolete and difficult or impossible to transfer. 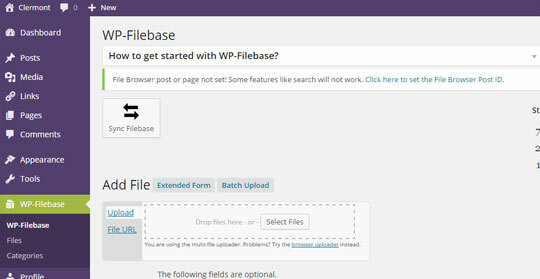 We built on WordPress, and we customized the platform like crazy and their site design is like no other. We do not believe in playing any games with website ownership. Our web agreement clearly states that CFG has full ownership of their completed website and their website domain name. This is our standard practice with all sites. The software is super search engine friendly. We took it a step further though, and installed various functions and plugins that proactively alerts Google and other search engines of any changes, cleans the site so that the engines have an easier time of crawling, etc. 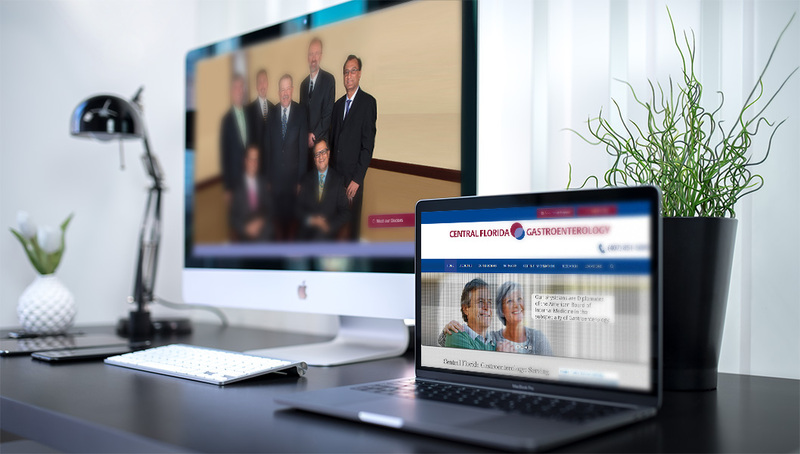 We helped CFG convert and embed educational video clips. In addition, we added video of individual doctors that showcase their personality and medical expertise.